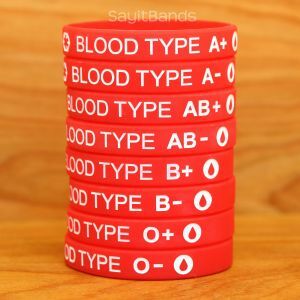 These high quality silicone bands are our standard size 8 inch (202mm) bands. They are in bright true red and feature indented high-contrast white text. 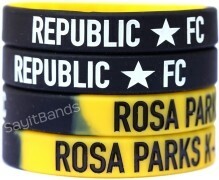 They are paint filled and the text and images are a permanent part of the bands which will not wear off. You can wear them in the shower or pool and while you work and play.